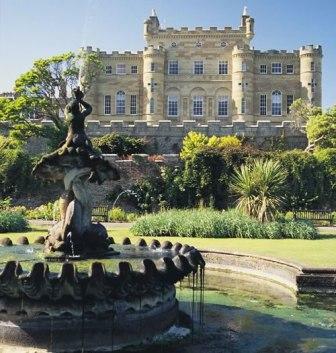 Culzean castle as it is today was built by the 10th Earl of Cassillis in 1777, however, there was originally a castle here which was built in the mid 1160's but no accurate records remain to give an exact year. The castle stands today as a home for the decedents of cassillis, but is owned by the national trust. No one knows exactly how many ghosts haunt the castle, but many people have reported encounters with spirits there. Some of the most common experiences include that of a ghostly piper who can be heard playing on castle grounds, rumor has it that he plays to the celebration of clan family members marriages. Another popular encounter reported by many people is that of the figure of a women wearing a ball gown that can sometimes be seen walking the grounds or corridors, whether this is related to the reports of seeing a misty, ghostly shape of a person walking around the dungeon area and stair wells is not known.